With moving, comes organisation. Even though it's hell of an ordeal, moving gave me the opportunity to rummage through my collection of blushers - I had more than I thought for someone who doesn't wear them on a day-to-day basis. 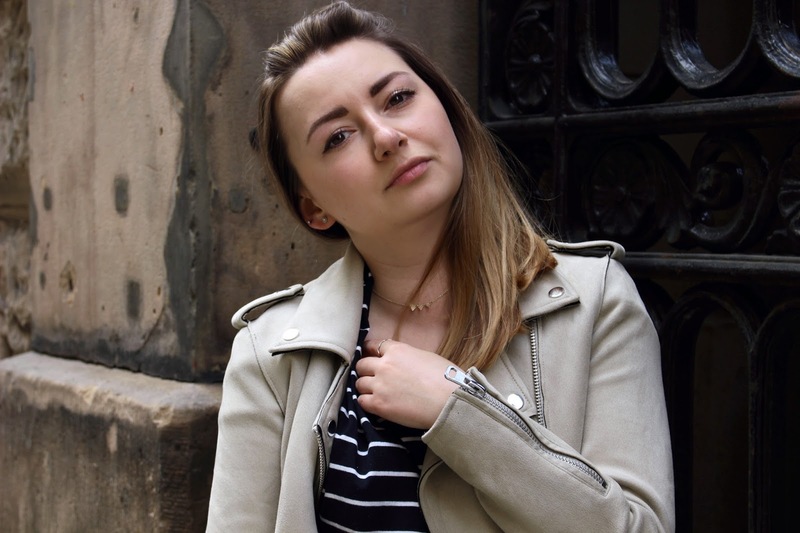 I sifted through them and over the last couple of weeks, I've seen the benefits and been falling back in love with a few, which I present to you today. Firstly, the Rimmel Wake Me-Up Instant Radiance in Radiant Rose. I didn't get on with this product at first as I couldn't get it to work for my skin tone as it was a true rosacea shade. However, I upped my application techniques and with a light hand a RT stippling brush, I saw what it was about. Unfortunately it does seem to be discontinued, but the tube is a laster. Cream mousse consistency with a major dewiness factor, it does look lovely and blends perfectly. Prefer it when I'm sporting a tan and high on my cheekbones, but it does give a natural flush and sheen. 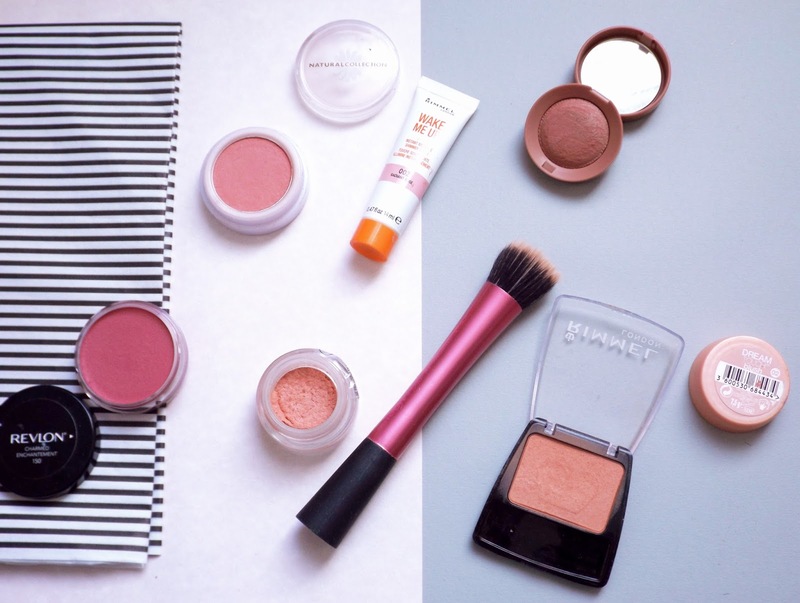 Now who doesn't have a Bourjois Little Round Pot Blusher in their stash? I feel like back in the day, my mum and I collected these like nothing else. Luckily I finally have some perspective and understand that not every colour suits me. I have the shade Sienne and I love it. Older than I care to say and a very hard formula (you have to really work the brush in there), but it enhances my bronzer and contour game. A 90's fan shouldn't be without this shade. 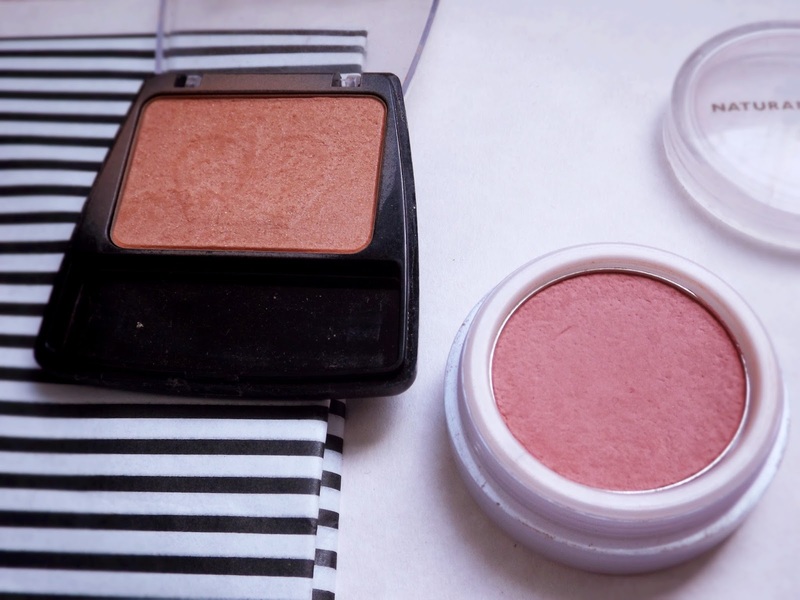 Another Rimmel addition, but this Mono Blush in Coral is a great one for those who maybe starting out their collection or slightly intimidated by adding a pink to the face. It's a very peachy, almost bronzy shade and is so lovely in the summer. Slightest of shimmer to it, but I can work with that and it compliments a golden/champagne highlighter really well. 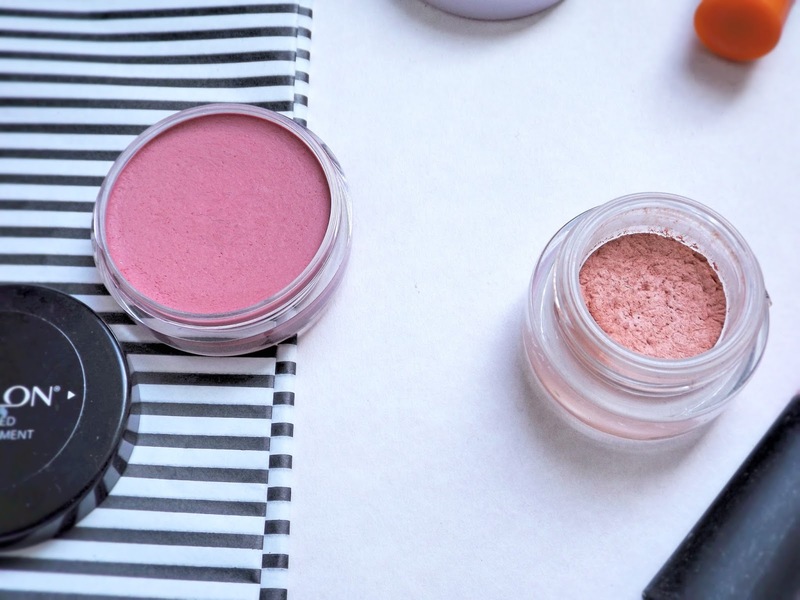 Again, a cult favourite and for good reason, the Natural Collection Blushed Cheeks in Sweet Cheeks the quality and staying power of these are great considering they only cost £1.99. A great powder coral pink. An essential for your drawers whether large or small. Similar to Sweet Cheeks but a tad darker and in cream formulation, the Revlon Photoready Cream Blush in Charmed. A fairly solid cream formula; I wouldn't really recommend it be applied with fingers - I use this sparingly and stipple it on but it really does add that 'something-something' to your face. It does contain the odd glitter fleck, but it doesn't translate on to the skin. Looking to pick up the shade Pinched next. Last but no means least, my favourite of the bunch: the Maybelline Dream Blush in 02 Peach. Stop what you're doing and go get this now. It's that good. It works whether you apply with your fingers or brush, over powder or liquid, it lasts on the skin for ages and is the perfect shade. Just remember to blend. It gives me a glow without looking shiny and enhances any lip or eyeshadow - really versatile. 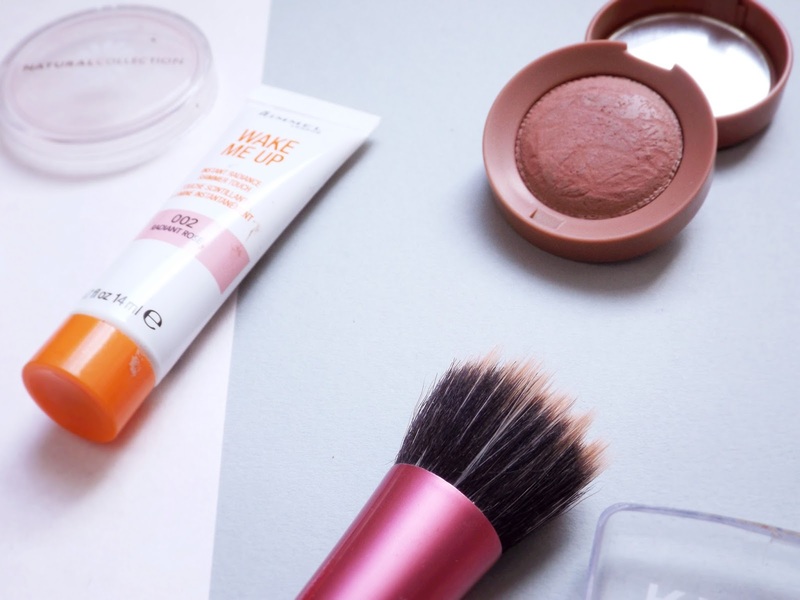 What's your favourite everyday blusher?